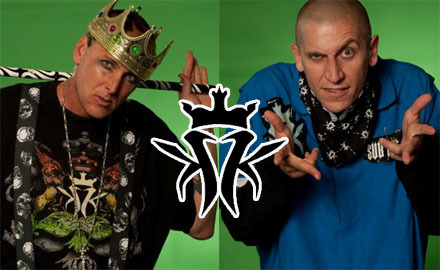 LIVE PODCAST Interview With Daddy X And The Dirtball Of Kottonmouth Kings! Tune in on Monday, July 30 at 4PM CST as Brad “Daddy X” and The Dirtball of the legendary Kottonmouth Kings take over the airwaves LIVE! In anticipation of their upcoming Mile High Tour with Strange Music’s own Prozak, we’ll be talking to Daddy X and The Dirtball about what fans can expect from the Kottonmouth Kings on stage and we’ll also get the inside scoop on the Kottonmouth Kings next album, Mile High. Tune in and have your questions ready because Daddy X and The Dirtball will be taking your calls live on the air. You won’t want to miss what happens when two of the underground’s finest crash into Strangeland! Leave your questions for Daddy X and The Dirtball below!